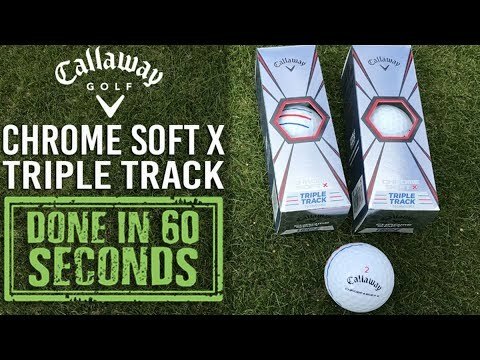 Golfshake equipment expert and PGA Professional Ryan Rastall took the opportunity to test the NEW Callaway Chrome Soft X with Triple Track technology, the same ball that Phil Mickelson now has in play. As seen on the ERC Soft Golf Ball, Triple Track Technology utilizes Vernier Hyper Acuity, the same visual technology used to land planes on aircraft carriers to help to improve alignment and better putting accuracy. Watch our 60 second review… and let us know what you think.